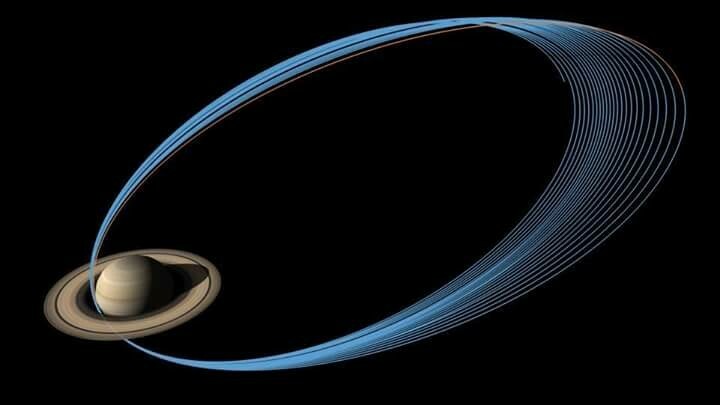 On September 15th the satellite Cassini will give its “last goodbye kiss” to Saturn. I wrote about this last week. 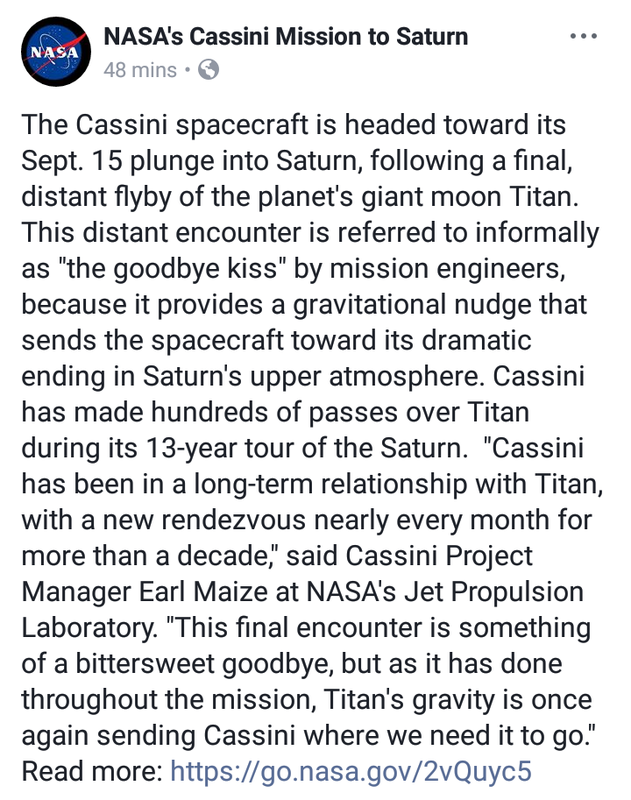 Here is the article with the video that was posted by NASA today (9/11) regarding this “goodbye kiss”. 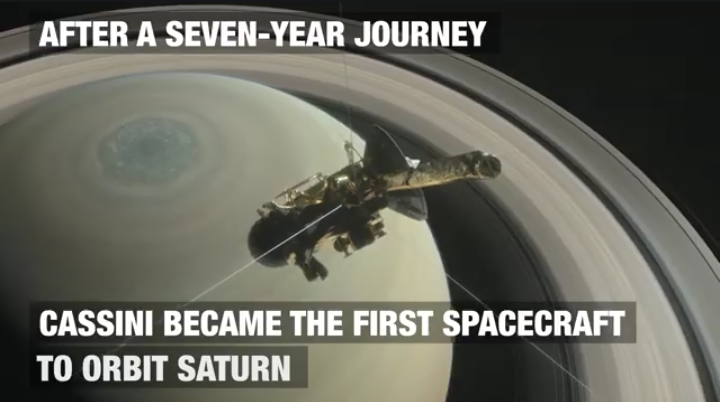 As why does this article have to be “7776”? Really. I want you to notice all of the symbolism in that video. 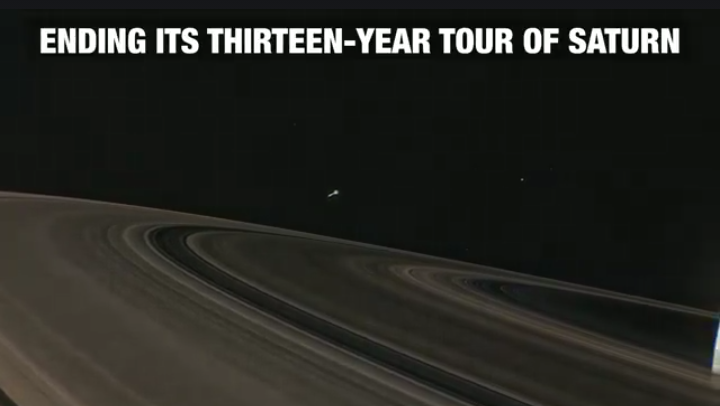 The 7 year journey that led to its 13 year tour that ends on September 15th. I won’t even mention the falling from Heaven symbolism. 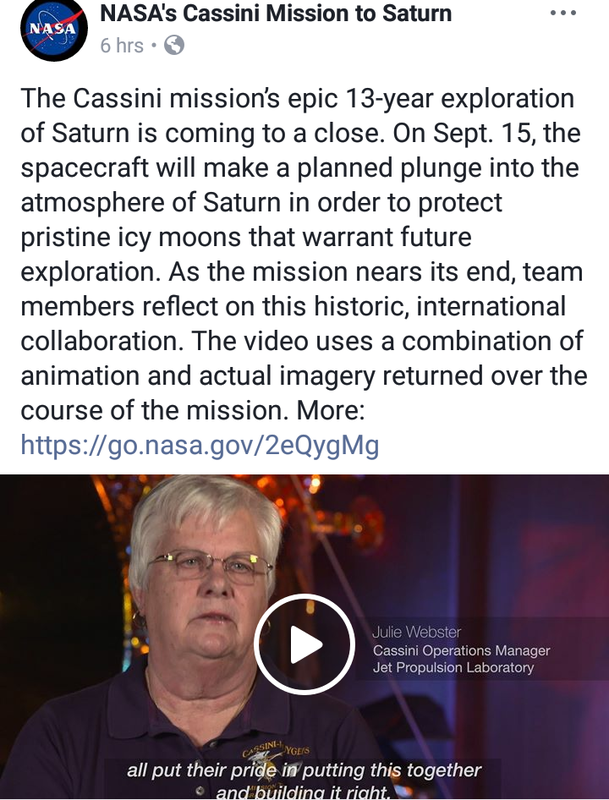 And then the NASA scientist says that Cassini will be “sending back science till the very last second”. What does that exactly mean? 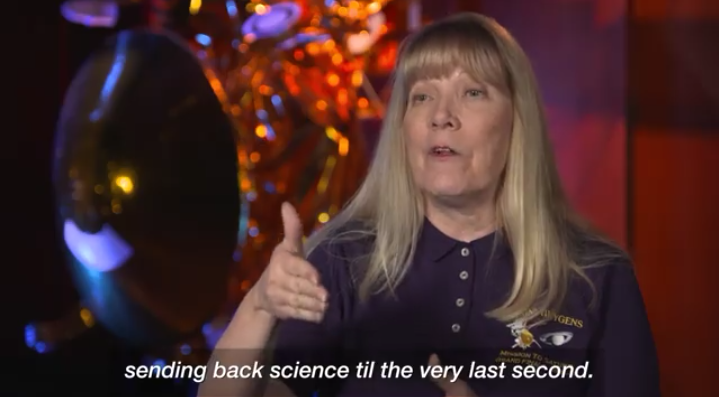 Well science means knowledge but we will get to that in a second. 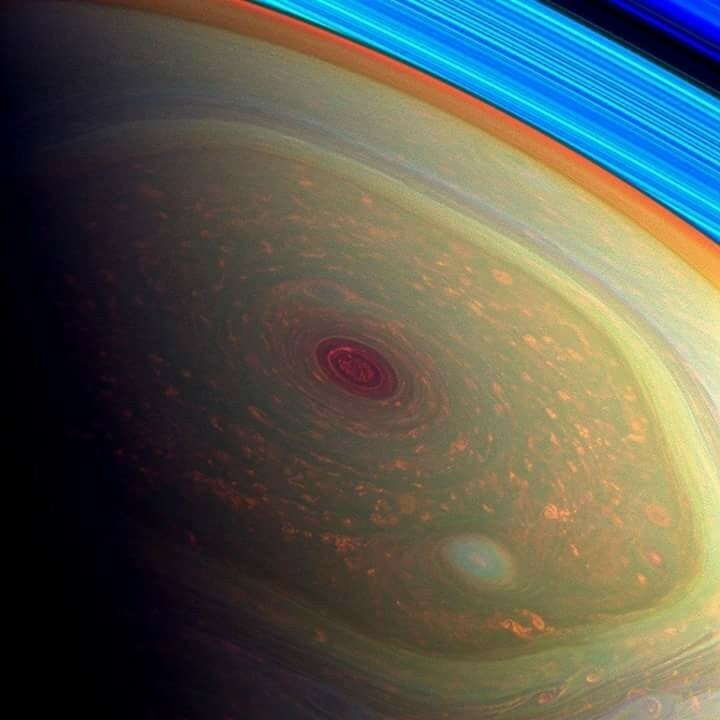 Let’s see what Paul had to say about this science in his letter to Timothy. 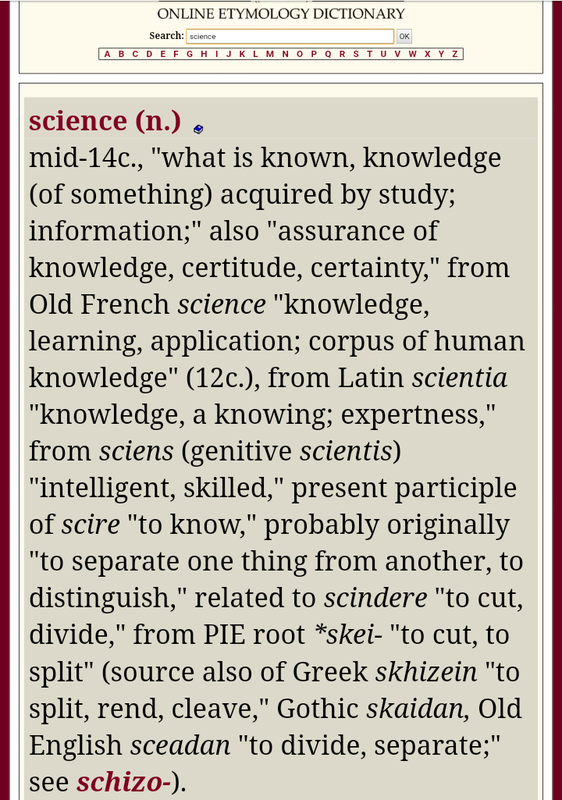 The word for science is ‘gnosis’ and we can see this word used for Gnosticism. 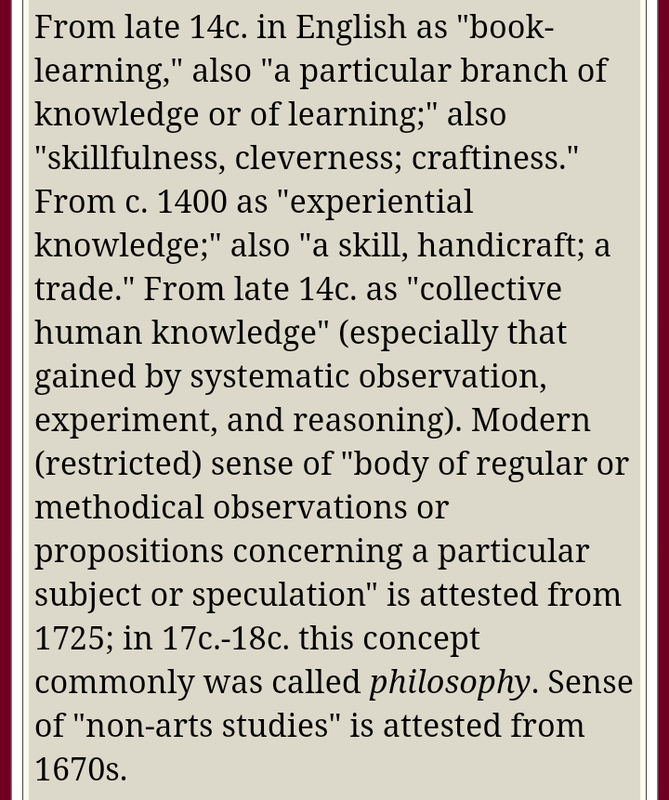 It means knowledge. So evidently in Pauls day there were these same contentions with science and Christianity. 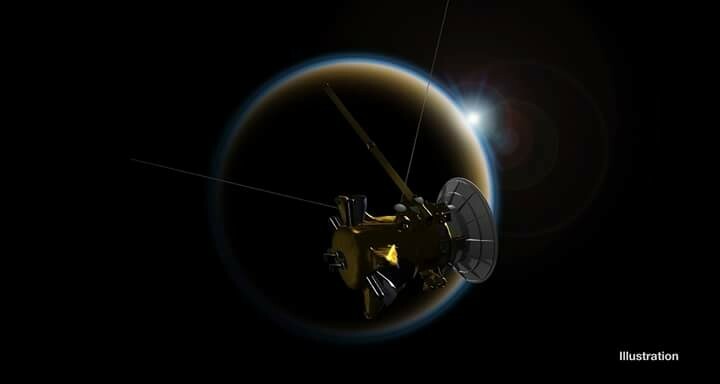 So what does modern science in the sense of NASA represent? Before you find out just let me say that it reminds me of James 1:8 “A double minded man is unstable in all his ways.” You’ll get it once you read the etymology. We are all familiar of course with the root schizeinbecause of its famous grandchild schizophrenia(literally split mind), which is a psychotic disorder characterized by a loss of contact with the environment, illogical patterns of thinking and acting, delusions and hallucinations, and a noticeable deterioration in the level of functioning in everyday life. And then there is the man behind the name. 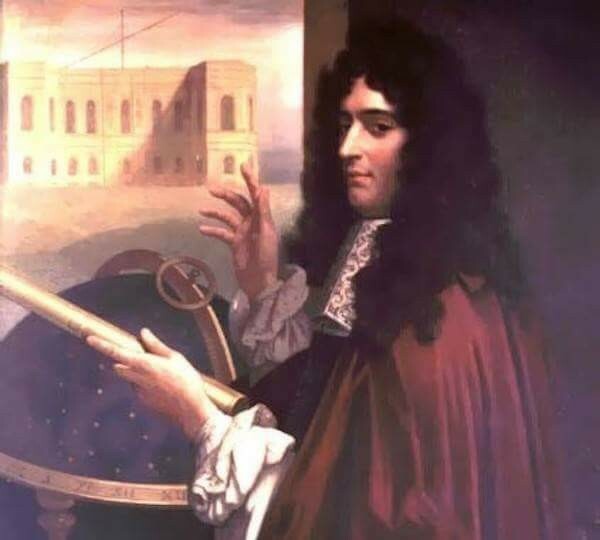 Giovanni Cassini is who the Cassini satellite was named after. I can’t find anything on what his last name means which is kind of strange to me. But his first name can mean Gift of God and is the Italian version of John. 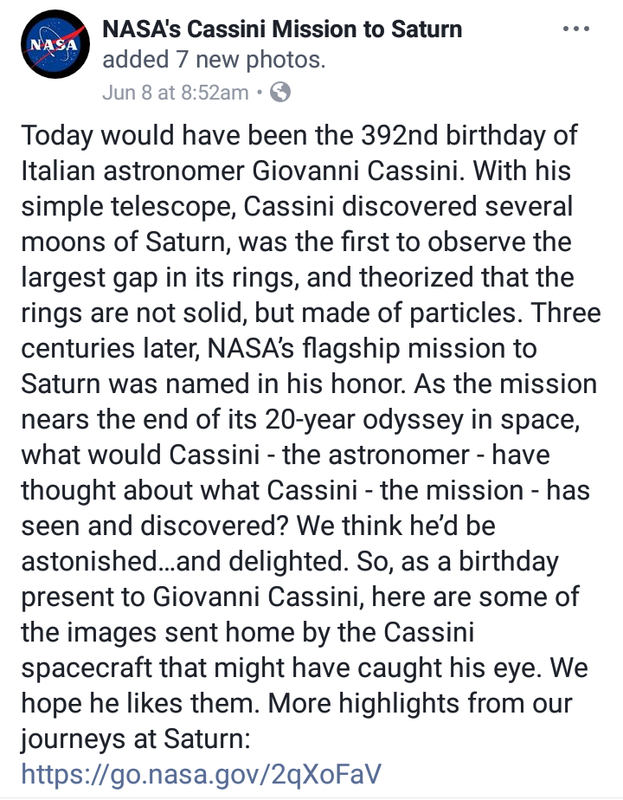 Notice from the article below that he would’ve been 392 years old. See anything wrong with that combination of numbers? 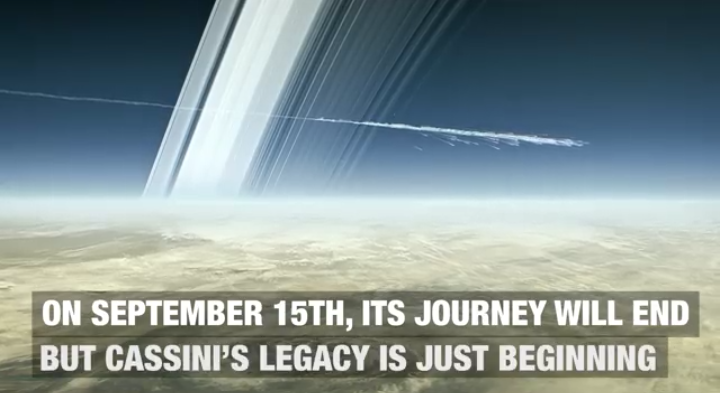 So 8 days before this big false sign in 9/23, Cassini sacrifices itself into Saturn while the real Cassini would’ve been 392 if people actually lived that long now. Smh.